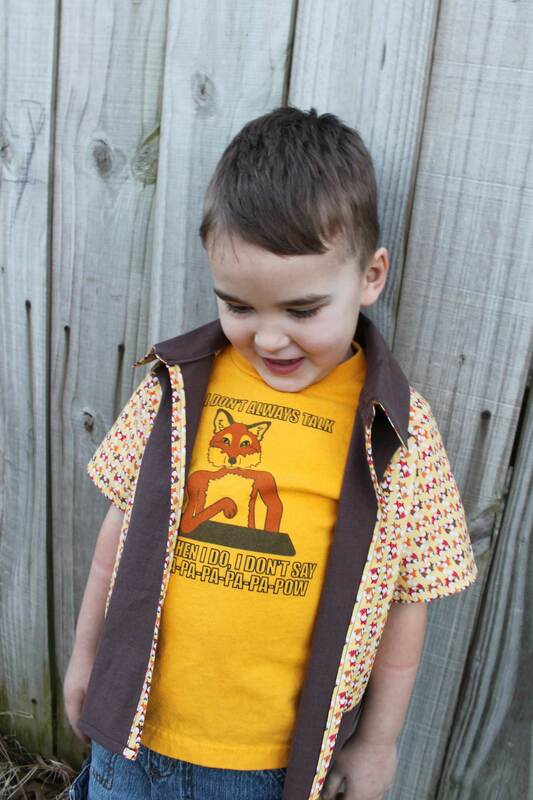 Like many other kids, mine have fallen prey to that funny What Does the Fox Say video. 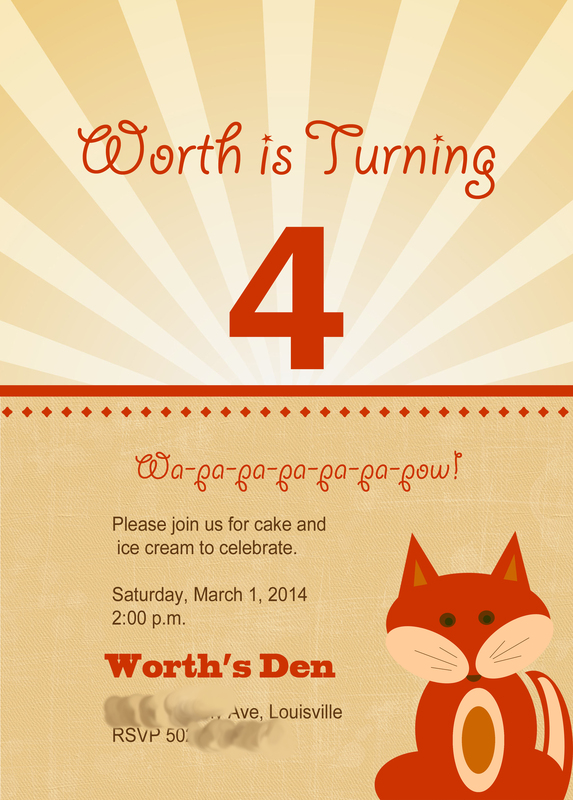 Inspired by this love, Worth decided to have a fox-themed fourth birthday party. 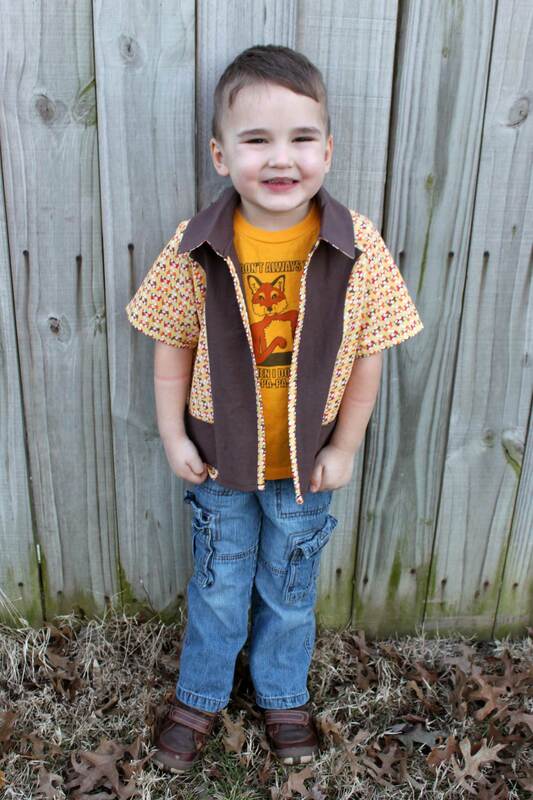 I made him this 70s-style shirt from a pattern in the book Sewing for Boys: 24 Projects to Make a Handmade Wardrobe. 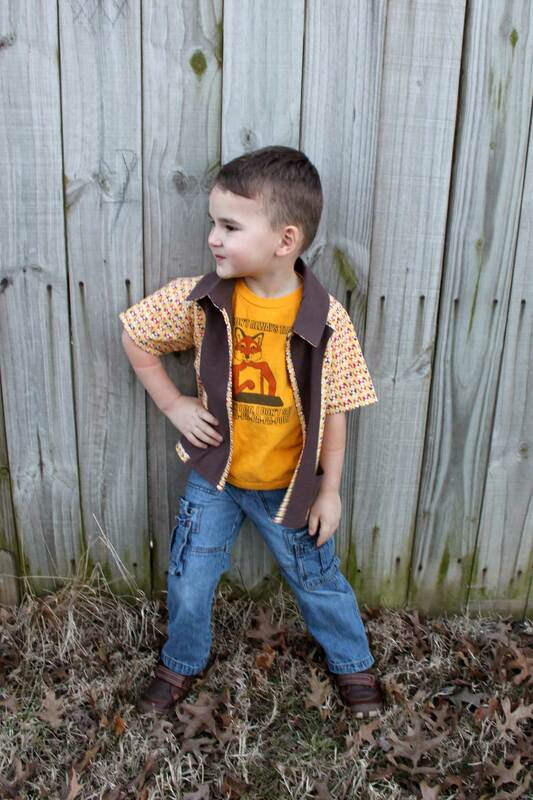 I wasn’t planning to sew snaps on the shirt since he intended to wear it open, and because brown snaps (plus shipping) were going to cost almost as much as I paid for the cute fox fabric, but the birthday boy complained, so (expensive) snaps were added subsequent to the picture-taking. I decided to make small gifts for Worth’s party guests instead of the usual little baggie of throw-away goodies. 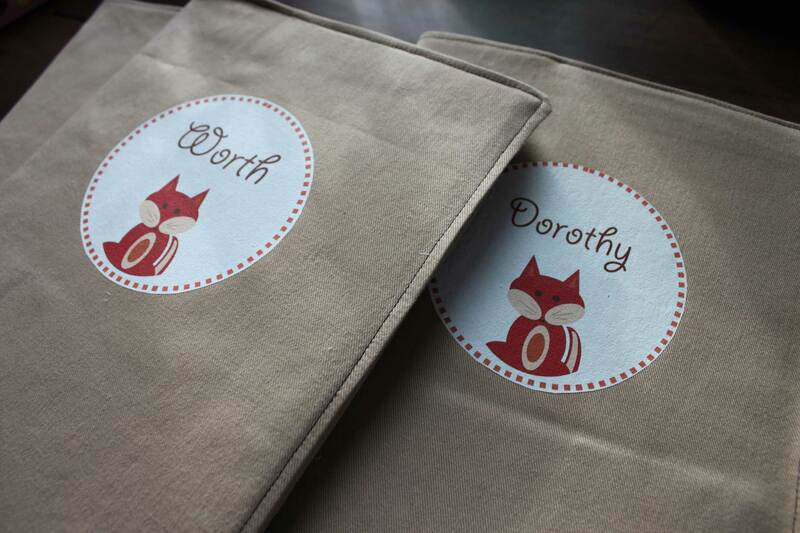 I sewed sleeves for standard composition books then ironed on fusible printer transfer paper circles with the kids’ names on them and a little fox I designed on the computer. The sleeves were easy to make and slip easily over the books, can be reused, and are appropriate for party guests of either gender, which is something I was going for. I’m not sure they were as exciting to take home as bags of candy and plastic frogs, but hopefully they will prove to be a more lasting and useful gift. This is the invitation I make for Worth’s party. I haven’t done much with computer graphic stuff in a while, and while I’m far from proficient or professional, I was pleased with how these turned out and was happy to test the waters in a crafty/homemade area outside my usual sphere. Worth certainly thought they looked fine because they contained a fox–his one requirement!